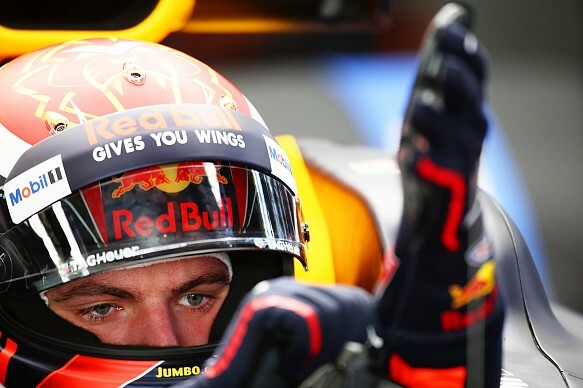 Formula 1's relentless safety drive has prioritised head protection in recent years, with the controversial halo capturing most of the attention for its visual impact. Yet tucked away in a driver's hands is a device that could prove just as important, as biometric gloves are rolled out in F1 for 2018. Inside each driver's gloves this year will be a 3mm-thick sensor and 23g device measuring vital signs that is capable of sending information over a 500-metre radius. The gloves are the brainchild of F1's deputy medical delegate Dr Ian Roberts and medical car driver Alan van der Merwe, co-founders of Signal Biometrics. Van der Merwe has been piloting the medical car at grands prix for almost a decade, taking up the position after a racing career that culminated in the 2003 British Formula 3 title and a test role at BAR-Honda. 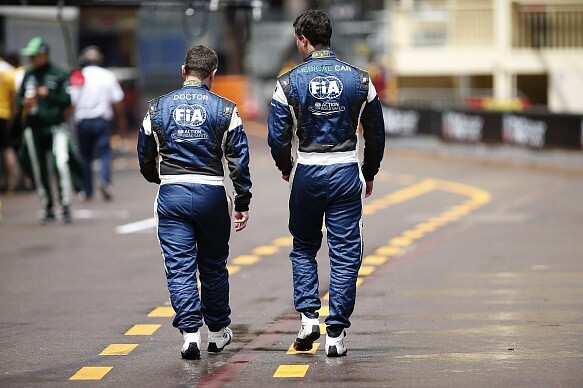 With the FIA striving to improve access to the correct medical information, van der Merwe and Roberts took it upon themselves to pioneer the product that will feature in 2018. "We've seen for the past five or six years a demand from the FIA to do some kind of driver monitoring from a safety and rescue point of view," explains van der Merwe. "And in those five or six years we saw a lot of proposals from all sorts of companies, big and small, a lot of them nice ideas, exotic things like tattooed sensors, but we're actually going to be some of the primary end users of whatever is implemented." Deciding some of the concepts put forward were "either too complex or too expensive", van der Merwe and Roberts decided to move ahead with one of their own, which has passed the FIA's fire safety tests and was trialled successfully at last year's Hungarian Grand Prix. With support from the FIA and the Global Institute, data measuring for safety purposes has been enhanced in recent years, as seen by the introduction of in-ear accelerometers that record head movement in high-speed impacts. Signal Biometrics ultimately opted for the hand, pointing to superior reliability and more accurate feedback. "The ear is a tempting site to do everything; for performance monitoring we think it's a good site," says van der Merwe. "[In accidents] 99% of the time the driver is absolutely fine, but less than once a season Ian and I find somebody that is in real need of medical care, so we wanted to make something that works not 99% of the time, but for that one rare case where the driver has had a large impact." that was going to be easily located. "In the event of an accident, we believe that this is the best site to start with because - and this is purely anecdotal evidence as we don't record these kinds of things, although we'll probably start - we know the gloves are always where they should be when we get to a driver. We can't say the same for earpieces and other things on other parts of the body." 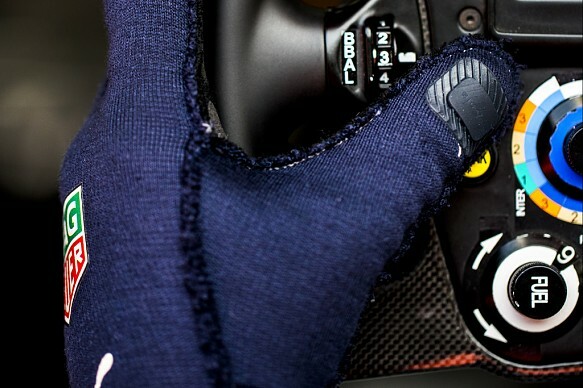 The glove will measure pulse oximetry - the oxygen in the blood - which while not a game changer in data recording, will at least have a positive influence when responding to those fortunately-rare serious accidents in F1. Van der Merwe cites Carlos Sainz Jr's 2015 Russian Grand Prix practice crash as the primary case study. 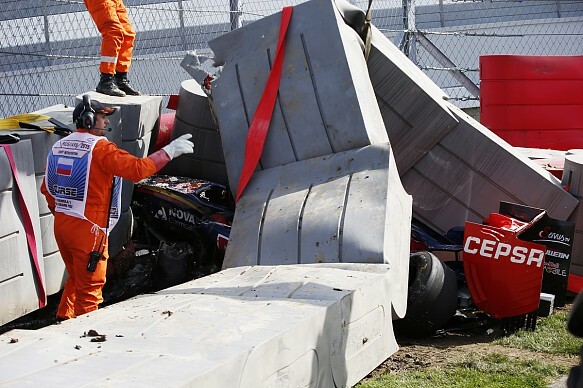 Sainz impacted the wall head-on at 153km/h (95mph), with the first layer of barriers coming to a rest on top of him. In the immediate aftermath, his precise condition was unknown. "It's another piece of information that'll allow you to make decisions based on data, rather than just instinct or experience," says van der Merwe. "When we got there, we had to make a decision either to work very quickly but with a high risk - number one to Carlos and number two to the rescue workers, as there's a few hundred kilos of plastic TecPro barriers balanced on the car - or if you're confident the driver is absolutely fine under there, you'll take your time and work methodically rather than just pulling the car out and risk injuring a perfectly fine driver." The real-time data gathered from Signal's biometric gloves will initially remain exclusive to the FIA, although teams can download the data upon the driver's return to the garage, enabling them to make performance-based assessments. The glove will also trickle down into other FIA-sanctioned series in the future, with van der Merwe stressing that "bang for your buck" was an important factor in the development process, since teams are covering the cost of the device. That development process is ongoing, with the ever-evolving motorsport environment demanding continuous gains and understanding. for a monitor that is essentially a clinical monitor is extremely light, but for F1 teams if you could make it 0g, that's the target!" The past 20 years have resulted in monumental strides in safety advancements in F1, to the point where the FIA is searching for "tiny incremental improvements", as van der Merwe puts it. But in having another sensor that can make decisions data-driven rather than instinct-based, the push for safety has taken another step in the right direction. While Signal's Biometric gloves will feature in Formula 1 this year, driver monitoring for both medical and performance assessment has been around for several years in different forms. Austrian company AVL RACING has manufactured its patented real-time driver condition-monitoring system since 2013, enabling physical and mental wellbeing to be tracked. The 70g device is attached to the driver's upper body by three electrodes and allows the pulse, heart-rate variability, functionality of the nervous system and driver's pulse-breathing quotient to be observed. Much like the Signal Biometrics glove, data can be accessed in the event of an accident, allowing a quicker and more accurate evaluation of the driver's condition and thus improving speed of treatment and prognosis. AVL RACING's device also means that any abnormalities in racing situations are picked up - such as a spike in heart rate - enabling specific incidents to be analysed, giving drivers a larger scope for self-improvement. 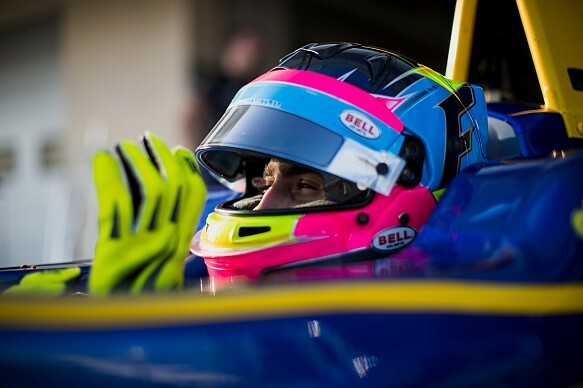 Among the drivers to use the system is Formula 3 racer Ferdinand Habsburg (below), who is an ambassador for AVL RACING.